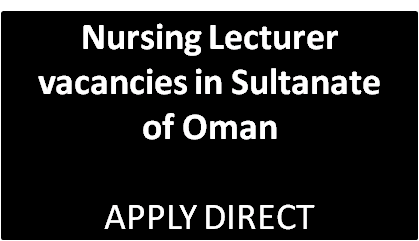 The College of Nursing is the ninth official college of great Sultan Qaboos University in Sultanate of Oman. This amazing organisation is one of the best healthcare organisation in Middle east that provides service to the public as well as providing high quality education in health service. Vacancy for Lecturer in the following categories are found in their official announcement page. Master degree with at least 2 years academic experience. Minimum of 2 years of full time clinical service. As mentioned in their website, a cover letter must be submitted along with the candidate’s curriculum vitae. In the cover letter, candidates are expected to clearly and orderly describe their qualifications, experiences, other credentials and areas of strength. Thanks for clearly mentioning the procedure for applying to jobs in this area. Do not know whether these jobs will be considered govt jobs or private jobs.